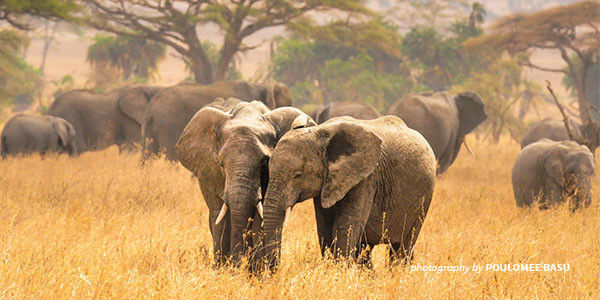 petition: Save Africa's Elephants. Close Ivory Markets Worldwide. Save Africa's Elephants. Close Ivory Markets Worldwide. Up to 35,000 elephants are slaughtered each year for their ivory tusks, and a current census estimates that 30% of African elephant populations have been lost in just the last decade. Here's the bottom line. At current poaching rates, elephant extinction is a very real threat. This month, world leaders are gathering in London during the Illegal Wildlife Trade Conference to discuss how to eradicate illegal wildlife trade and better protect the world's most iconic species from the threat of extinction. Join African Wildlife Foundation in calling on them to take urgent action to stop the killing of Africa's elephants by closing ivory markets worldwide. Sign the petition and send the message that you don't want to live in a world without African elephants.